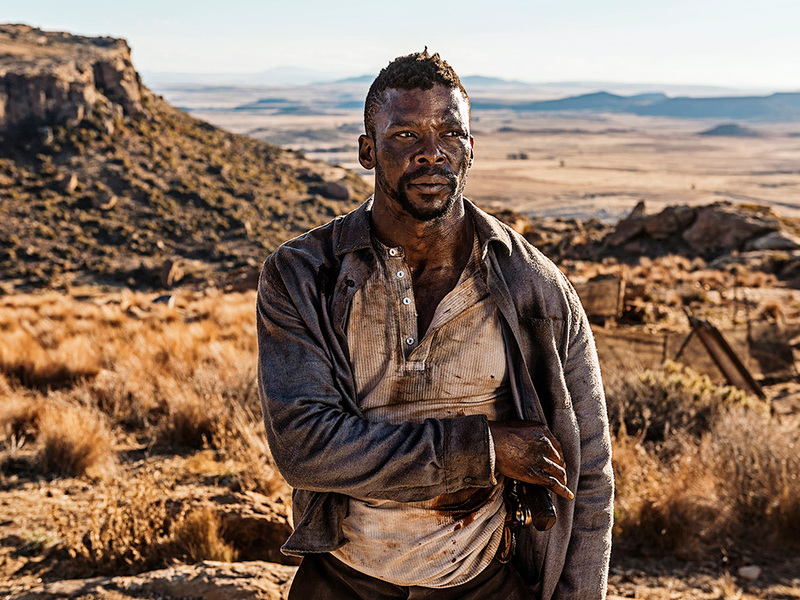 A picture that’ll please both cinema studies majors and dads looking for a Saturday afternoon shoot ‘em up, “Five Fingers for Marseilles” transplants the style and structure of 1960s Italian spaghetti westerns to the shantytowns of South Africa. Cape Town native Michael Matthews lovingly cribs from the Sergios — both Leone and Corbucci — to craft a craggy, gutbucket epic full of slightly silly, mythopoetic grandeur and a tart taste of regional politics. It’s amazing how well some tropes travel. We begin with a stark, circular standoff that’ll look awfully familiar to fans of “The Good, the Bad and the Ugly,” that is until Matthews reveals we’re watching a bunch of children playing around with slingshots. A lengthy prologue establishes these young friends as a self-styled gang of preteen guerrillas, calling themselves the Five Fingers while taunting Afrikaner cops and pelting them with eggs. But in such a volatile environment mischief can quickly get out of hand, one afternoon escalating with swift and sickening inevitability until the group’s leader Tau — nicknamed the Lion of Marseilles — makes a deadly decision that will reverberate for decades. The movie jumps ahead 20 years or so, and though the colonists might be gone, nature abhors a vacuum. Tau’s old hometown is now in the death grip of a virulently nasty crime boss called Ghost (a horrifying Hamilton Dlamini) while his old pal Pockets (Kenneth Nkosi) is the crooked mayor of New Marseilles, an up-and-coming city down the hill built on shady deals and bad promises. Their bullied buddy Cockroach (Mduduzi Mabaso), like so many picked-on kids before him, has grown up to be a sadistic cop who would much rather settle old scores than serve and protect. Into all of this returns the Lion of Marseilles, looking for his long-dead brother and instead finding a resentful nephew (Lizwi Vilakazi) and sister-in-law (Zethu Dlomo) who can barely stand the sight of him. Played by an eloquently taciturn Vuyo Dabula, the grown-up Tau brings with him a larger-than-life reputation full of prison stints and armed banditry, but these days he’s just looking for a place where he can hang up his guns for good. Obviously this ain’t it. If you’ve ever seen a spaghetti western in your life you already know pretty much exactly where “Five Fingers for Marseilles” is headed, something Matthews and screenwriter Sean Drummond have taken fully into account. 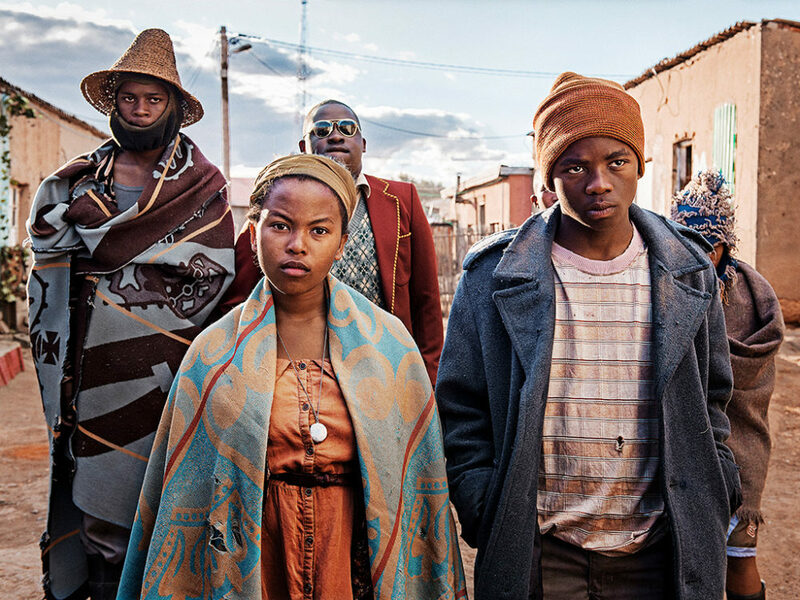 The movie’s main pleasures lie in the familiarity of the gestures and milieu, albeit with the intriguing novelty of an almost all-black cast and everybody speaking Sesotho and Xhosa instead of badly-dubbed English. I loved the way Mathews and cinematographer Shaun Lee shoot Tau in silhouette against the jagged countryside, granting him a towering, Man With No Name screen presence and a similarly superhuman ability to withstand physical pain. The movie is full of fun touches like saloon doors with windows in the shapes of crosses to better cast the barroom altercations in mythic shafts of light. 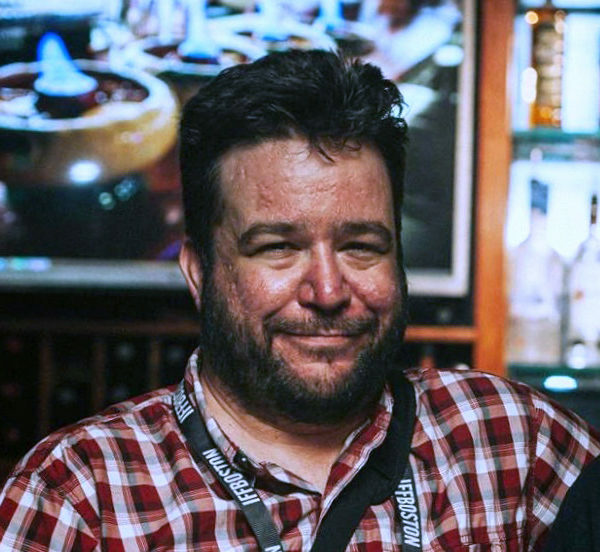 There’s even a funny white guy hanging around for comic relief, an alcoholic traveling salesman named Honest John (Dean Fourie) who has a surprising amount of mettle when the situation calls for it. The filmmaking doesn’t always rise to the level of the movie’s ambitions. Some of the shootouts are cut confusingly quickly, and you can occasionally feel the film straining against its budgetary limitations. I would have liked to have spent more time with some of these supporting characters, especially two colorful running buddies from Tau’s years on the road who seem to have wandered in from an even wilder, more expansive movie. Though sometimes a rocky ride, “Five Fingers for Marseilles” nonetheless provides the sound satisfactions of a well-told western yarn, with a provocative subtext percolating just beneath the surface. After all, the Five Fingers were first formed in opposition to the exploitation of the colonists, but the group must ride again to protect these townspeople from each other. “Five Fingers for Marseilles” screens at the Brattle Theatre from Friday, Dec. 7 through Sunday, Dec. 9. It is also available on iTunes and other streaming services.